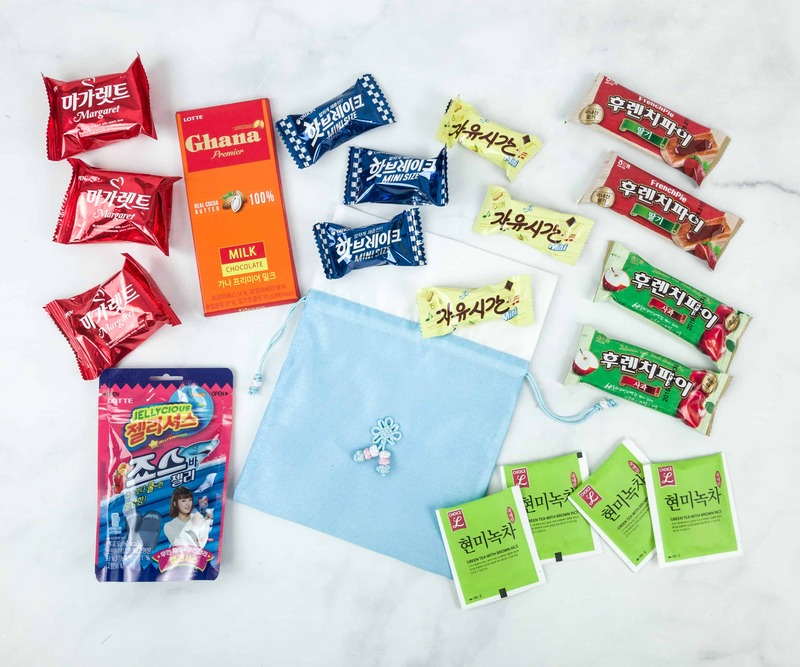 The Korean Snack Box is a monthly subscription box dedicated to premium Korean snacks. The subscription starts at $14.95 each month (Medium and Large boxes available), with free worldwide shipping. 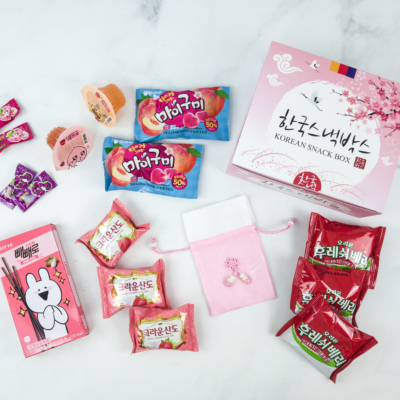 Each box comes in a beautiful Bokjumeoni (traditional Korean silk bag) with 5-10 or 10-15 items and tasters. 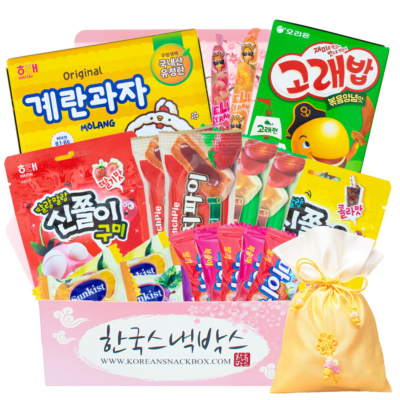 You can now find the previous month box and earlier month’s boxes in the Korean Snack box shop. This is a review of the large $24.95 per month Korean Snack Box. A note from the curators is included in the box. DEAL: Get $3 off your first subscription box! Use coupon code HELLO3. 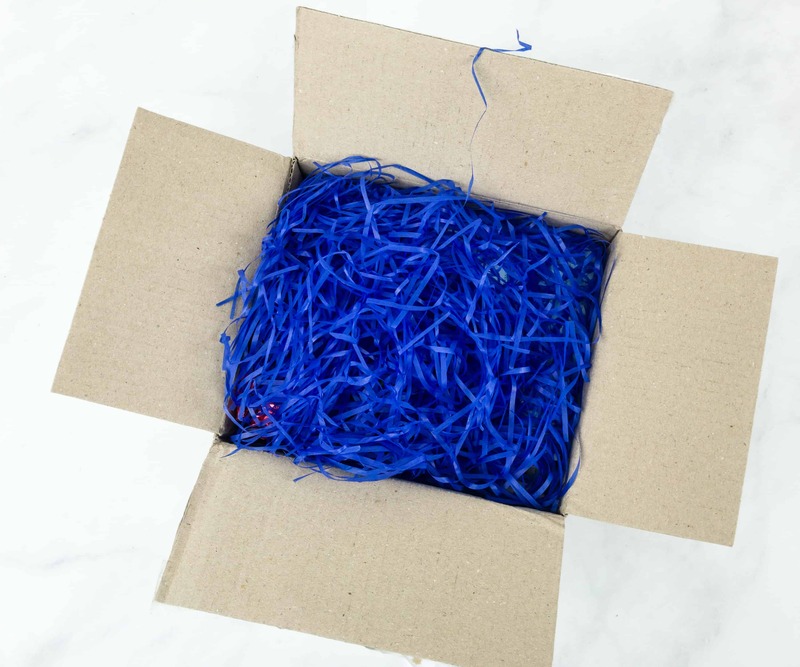 This month’s box includes blue Bokjumeoni. 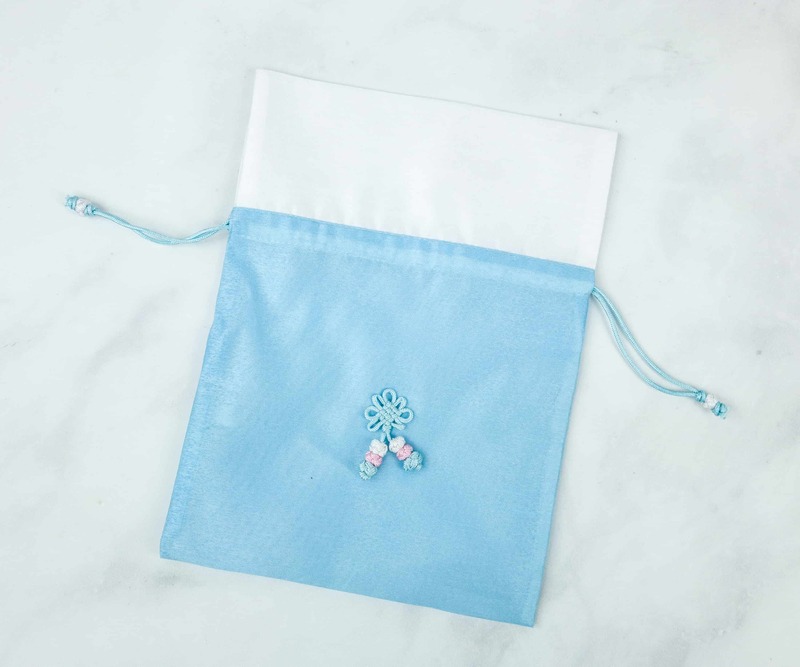 It is reusable as a purse, pouch, or even as a makeup bag! Hyeonmi Nokcha. Green tea with brown rice? That sounds like a new combination, but it has been enjoyed in Korea for a long time. 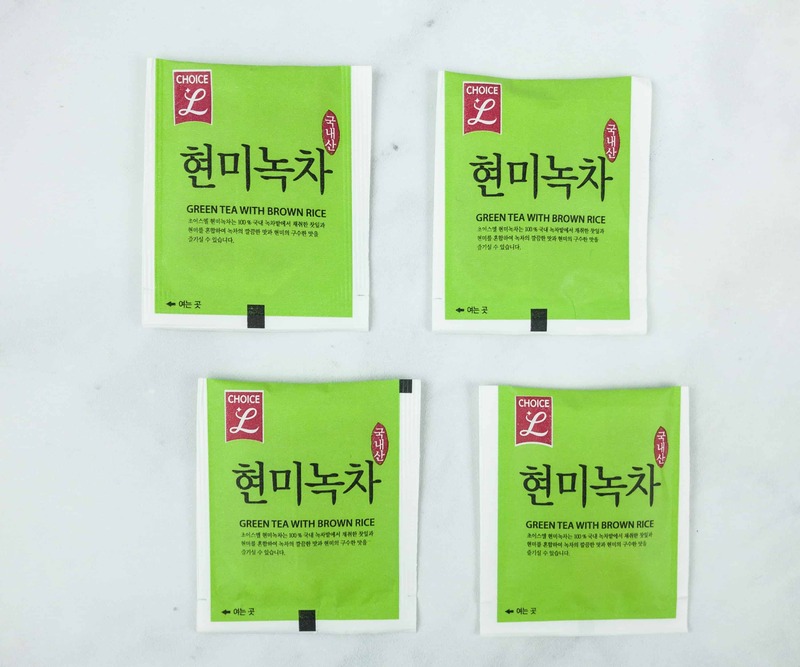 We got four bags of this tea, perfect for staying warm and cozy in cold weather! Jaws Ba Jelly. 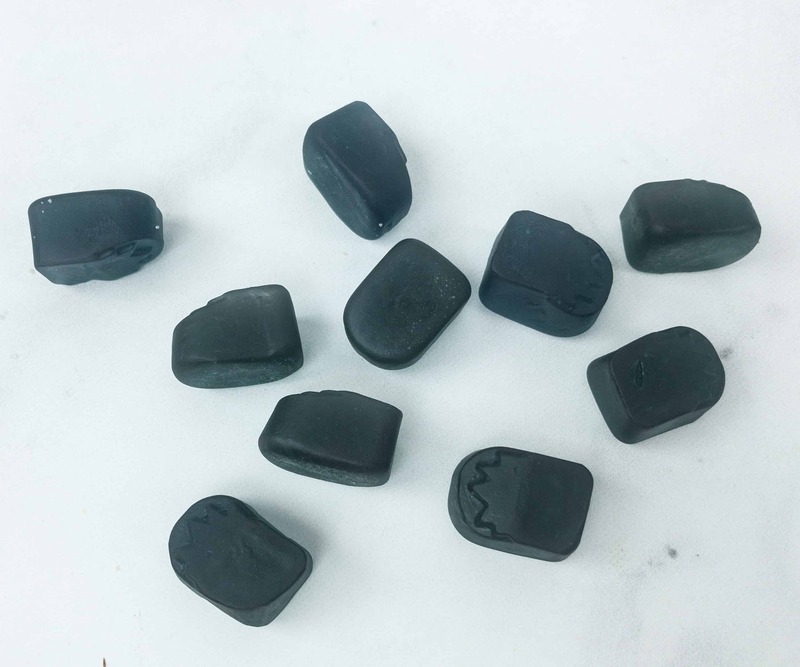 These jelly candies are shaped like shark heads. The color is plain and dark, but the flavor is bursting with sweet strawberry and juicy orange. Hooraenchi Pie Strawberry. 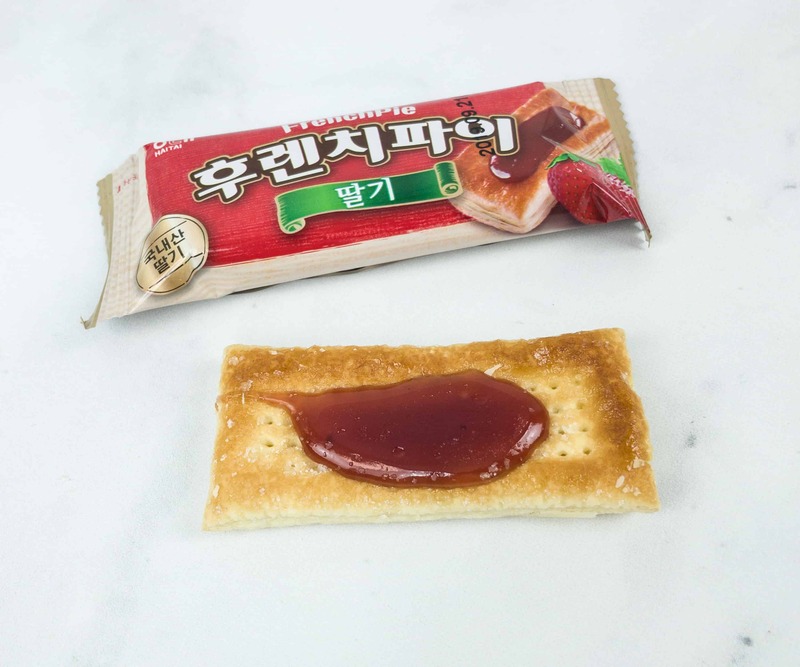 Perfect for pairing with tea or coffee, the sugar-coated biscuit features a yummy strawberry jam on top. Hooraenchi Pie Apple. 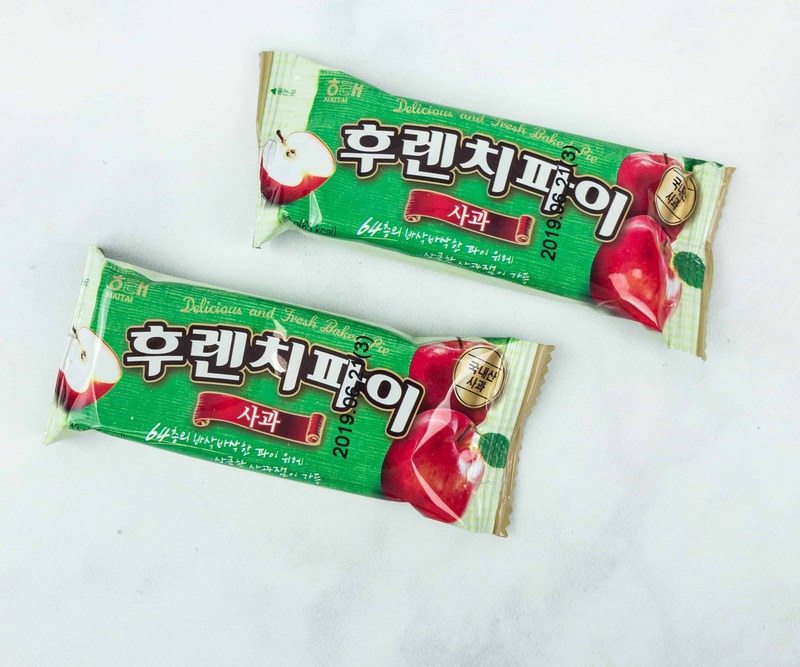 We also got the biscuit snack in apple flavor! The biscuit is sweet, and although the apple jam didn’t cover the top fully, it was really tasty. Our fave was the apple, but we loved both! Jayoosigan. The snack’s name means break time! 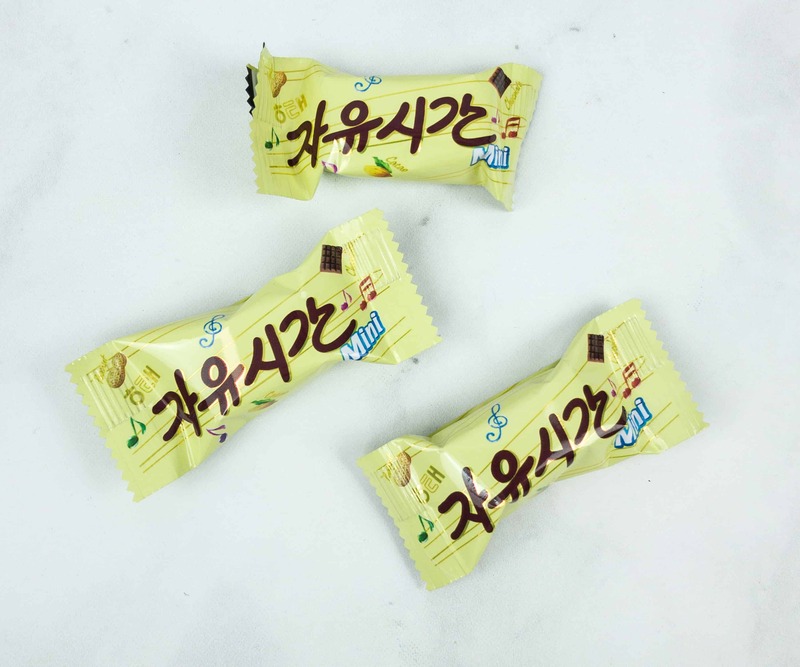 These mini chocolate bars features a chewy nougat mixed with real crunchy peanuts and coated with sweet chocolate. It’s indeed a great snack to energize you during break time. Hot Break. More chewy bars! These mini-sized chocolate bars are so addicting. The almonds and nuts work perfectly with the flavorful nougat and creamy chocolate coating. It was almost like they were cookies & cream with the bits inside. Margaret. Who can say no to a handmade style cookie? This one is soft and baked to perfection. Each wrapper contains two pieces, enough to keep me full for snack time. They have a light peanut flavor and totally hit the spot! Ghana Chocolate Bar. 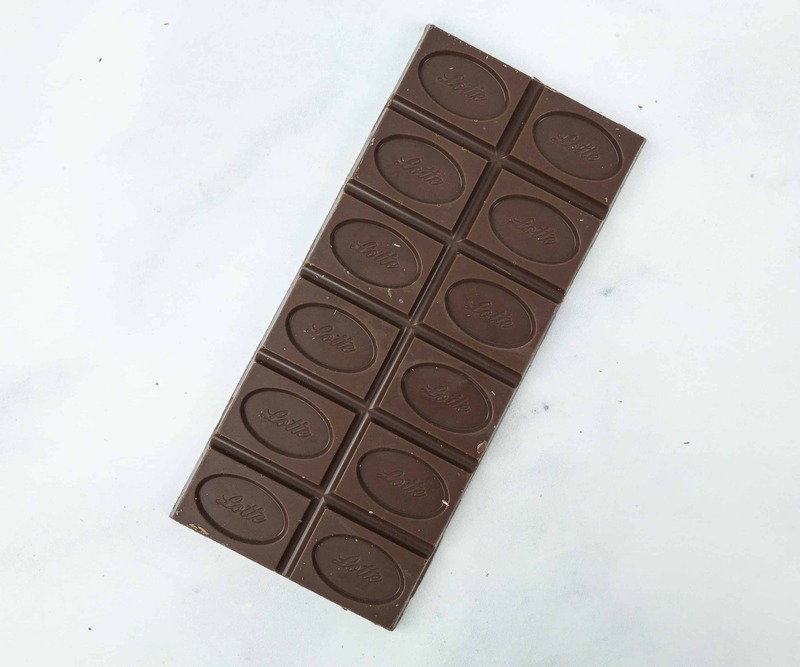 This chocolate bar is made with cocoa butter mixed with extra cacao, which creates a richer and smoother chocolate treat. The bar can be broken into 12 smaller pieces so it’s great for sharing too! 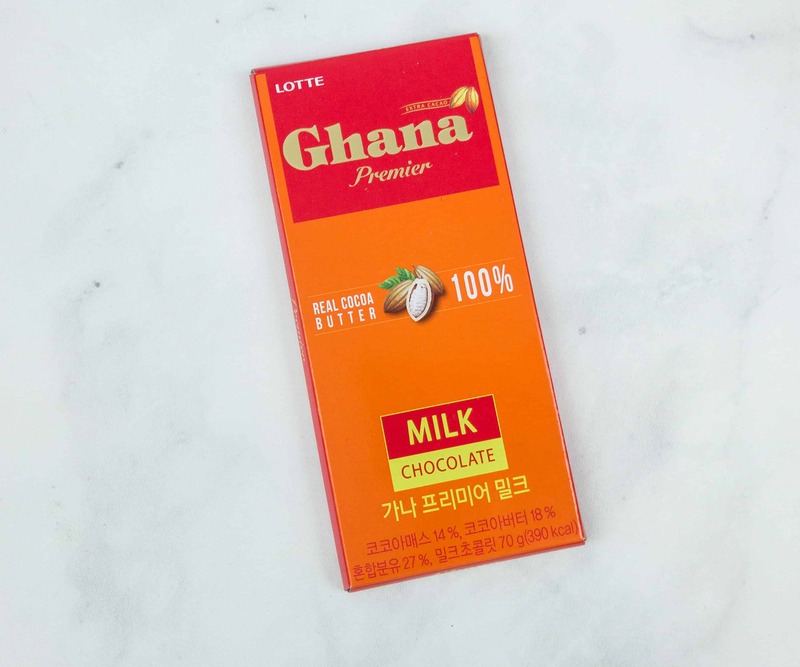 We love Ghana chocolate – Korea’s favorite bar! This month’s box is filled with sweets and cookies, which is just perfect because I can pair them with coffee or tea to warm me up on a cold day. Speaking of tea, they even included 4 bags of green tea with brown rice and I’m really excited to try it. All the treats are delicious, but the Hooraenchi Pies definitely stood out. The apple and strawberry flavors blended perfectly with the cookies. The Ghana Chocolate Bar is also a hit. It’s less sweet but definitely much tastier. 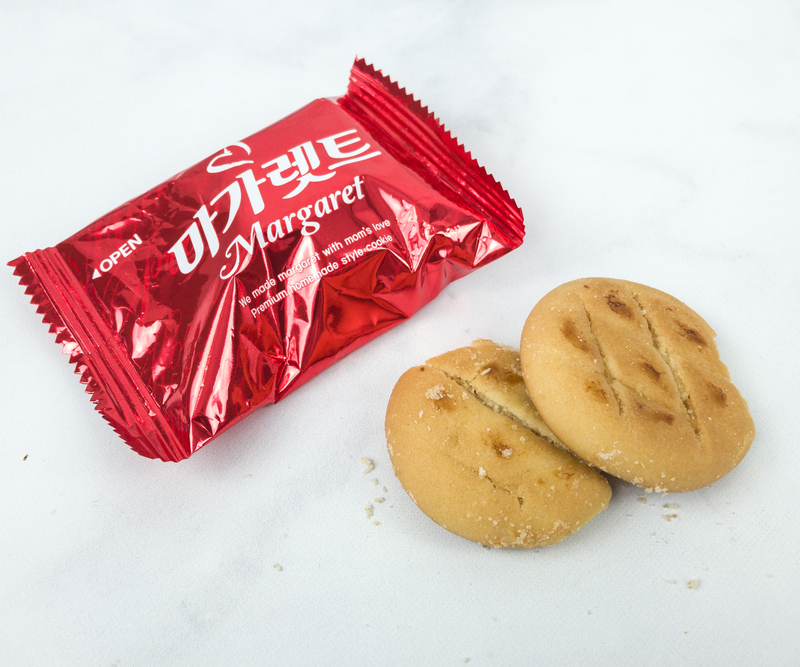 Our Korean snack cravings are definitely fulfilled this month! 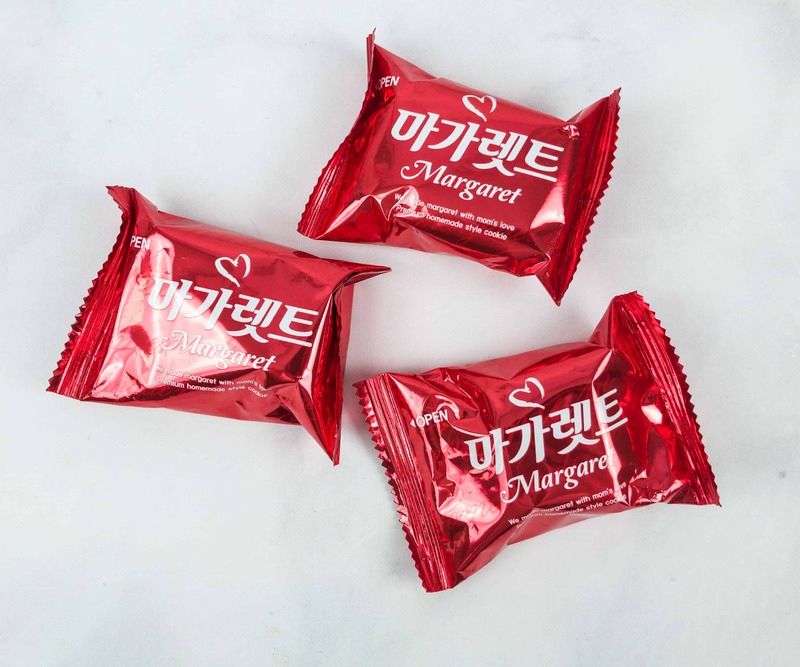 What do you think of Korean Snack Box? 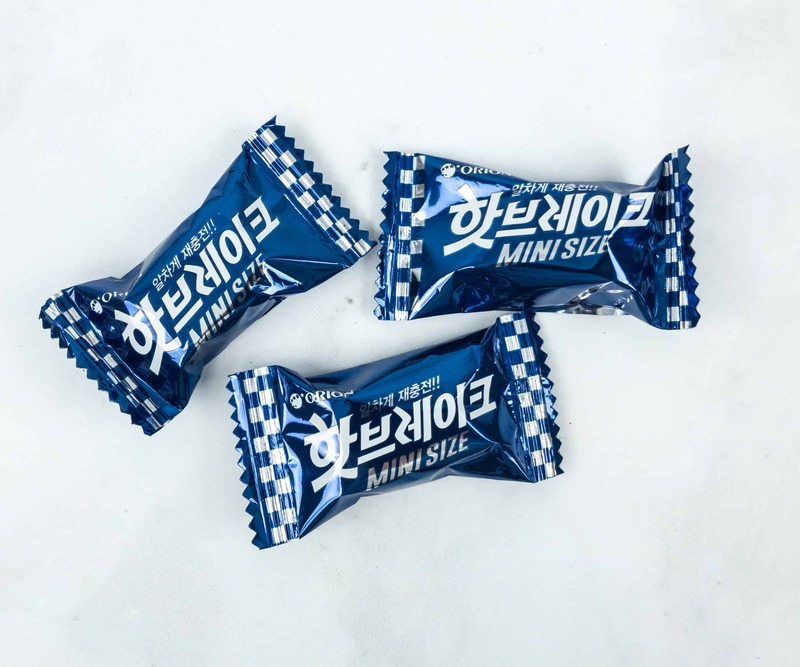 Visit Korean Snacks Box to subscribe or find out more! Do you want to taste the snacks that your Kpop idols loves to eat? 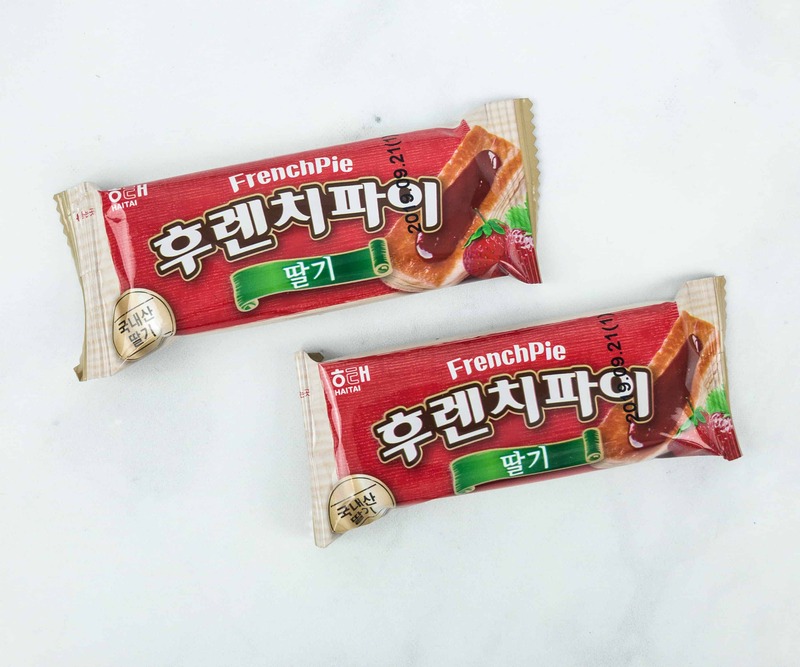 Or do you want to taste new and delicious treats while watching your favorite Kdrama? Then the Korean Snacks Box is for you. 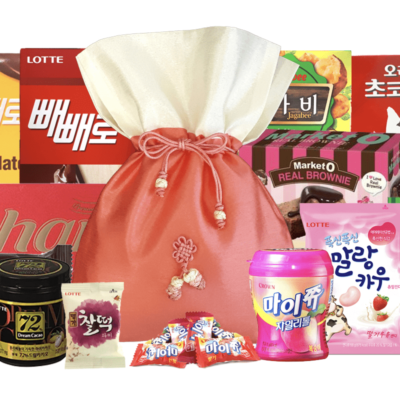 You will get premium Korean snacks delivered inside a beautiful Bokjumeoni (traditional Korean silk bag) sent to you monthly with free worldwide shipping. The box come in sizes Medium and Large and contain 7-10 or 15-20 items and tasters plus a wonderful silk bag that you can collect and use as makeup bag, wallet or smartphone pouch. All products are purchased in Korea and shipped to you directly from Seoul. Join over 10 000 Korean snacks lovers today! 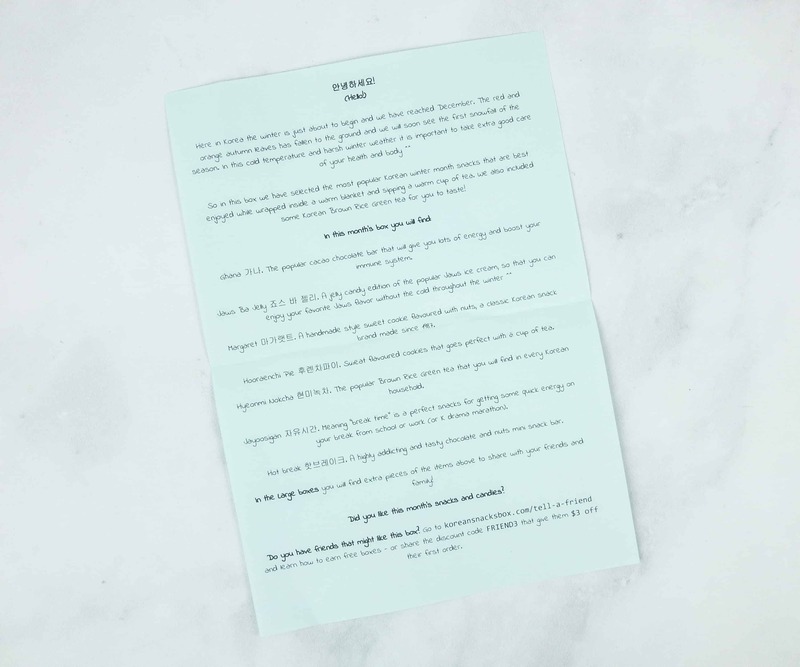 Get $3 off your first subscription box! Use coupon code HELLO3.